There are several steps you can do at home to make sure your pipes don't burst. 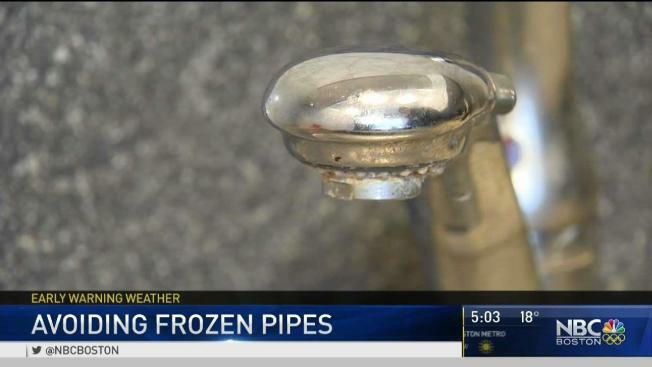 Frozen pipes are a huge problem that could be popping up in Massachusetts homes in the coming days as New England deals with extreme cold. "Soon as it starts getting below 20 degrees, that's when you start worrying," said Steve Lamb, manager of Baker-Elman Plumbing. The forecast calls for freezing temperatures for the next week. 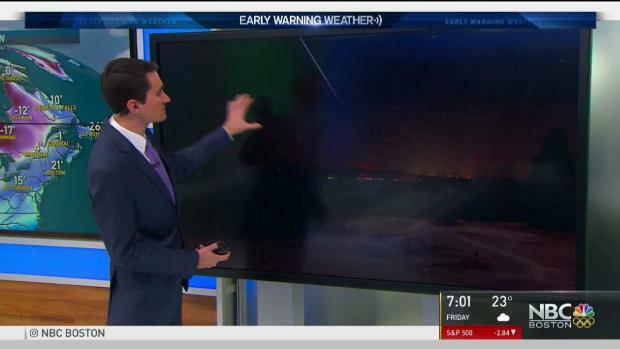 What appeared to be a meteor or fireball streaked across the New England sky Tuesday evening. Leave faucets slowly dripping throughout the day. Open cabinet doors to allow heat to circulate the plumbing. Leave thermostat at a steady temperature day and night. According to Lamb, calls for frozen pipes are already coming in. One case of frozen pipes in Newton was the result of a garage door being partially left open. "If there's any kind of wind or breeze, you're losing a lot of heat out the door," said Lamb. If your pipes do freeze, Lamb says not to use a blow torch. He says a hair dryer will work, or you could call a professional.